Home » Blog » Design and Development » What Makes a Great Website? Your website is your first digital impression and you want to make sure it’s a great one. It should reflect everything you want potential customers to know and remember about your business. To marketers and other business owners who have been around for a while, this is nothing new. Successful businesses are always trying to improve the quality of their websites to meet the needs of their users. Often people are visiting your website because they are seeking out something. You want to ensure that they are finding what they are looking for quickly and with ease. You may have the most amazing business model and offer extraordinary customer service, but with a poorly functioning website, you could miss out on a significant amount of business and ultimately make a bad impression. Having a quality website is more critical than ever before. Since it’s likely that your competitors have an incredible website, expectations are high, and you must at least meet the bar, if not exceed it. The concept of using responsive design is not new. Since the Google update known as “Mobilegeddon” back in April of 2015, everyone has been hustling to upgrade their websites so that they are easily viewable and usable regardless of the device it is being viewed on (mobile, tablet, desktop). This will continue to be a basic requirement of a great website. With new and improved mobile devices coming to the market on a regular basis, having a responsive website design is a must. Many businesses are taking web design back to the basics with minimalistic designs and layouts. Websites are featuring fewer pages, with simpler designs and more blank space. Some websites are also implementing what’s referred to as “Flat Design”. Flat web design uses two-dimensional/flat images which are aesthetically pleasing to look at, in combination with lots of open space, and bright colours. Usability has always been of key importance in a successful website. Websites with an intuitive design, and with images and aspects that are pleasing to the eye are going to attract more customers than those without these features. A simple, intuitive, and functional navigation is another important feature. If customers can’t easily make their way around your site, they aren’t likely to stay long. The speed at which your pages load also have a strong impact on users. Quickly loading pages and simple ways to get to specific information will be critical in setting your website apart from the competition. By 2020 personalized user experience web design may become the norm. 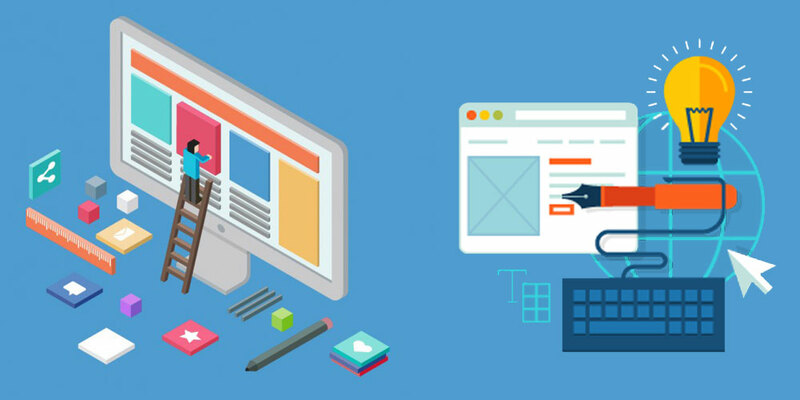 Rather than everyone receiving the same experience when visiting a particular website, a personalized user experience design allows for the content and experience to be designed specifically for a particular user. According to a study done by Janrain& Harris Interactive, over 70% of online consumers get frustrated with websites when they are presented with promotional content that doesn’t resonate with their interests. The best part about websites that offer a personalized user experience, is that they are typically able to adapt to the user’s interests and needs without the user having to do much at all. Content marketing is likely to expand, with more focus being placed on high quality content. Websites that provide users with useful information in a variety of formats, including video and images vs. text when possible, will have greater success than those that don’t meet the needs of today’s website viewers. Marketing automation will also continue to evolve, and many websites will incorporate customized landing pages, banner ads, and other promotions to supplement email campaigns. The traditional newsletter or simple email marketing campaign will likely not be enough to capture new customers. In the past, bright and bold colors on websites was sometimes perceived as childish or unprofessional, depending of course upon the industry of the business. However, websites with vibrant colors have become more popular and more acceptable in recent years. When viewed in high definition, bold colors can have a powerful impact on the user. And, in the case of a flat design website, bright colors can make all the difference. A “Lead Magnet” is an irresistible bribe that gives a specific chunk of value to a prospect in exchange for their contact information. Although no money changes hands, this is a transaction. A strong lead magnet helps converting the casual visitor in to a lead dropping in to your marketing funnel. A “Tripwire” is a super low-ticket offer (usually between £1 to £20, for high-ticket business tripwire could be up to £500 too). This exists for one reason and one reason only, “to convert prospects into buyers” .The goal of the Tripwire is to fundamentally convert those visitors in to quick customers. The conversion of a visitor to a customer, even for £1 transaction, is magical. Your want your website visitors to experience your website, as it was designed to be experienced. It should look and function the same, regardless of the device or browser that is being used to view it. A visitor that arrives at your website that gets a less an optimum experience is very likely to leave. It’s important to point out that every browser and every version of that browser is idiosyncratic, identifying those idiosyncrasies and tweaking the website accordingly is important to ensures that your website displays consistently, regardless of browser. There is a little point having a website that can’t be found when your prospects are searching for a provider like yourself. An important aspect of SEO is making your website easy for both users and search engine robots to understand. Although search engines have become increasingly sophisticated, they still can’t see and understand a web page the same way a human can. SEO helps the engines figure out what each page is about, and how it may be useful for users so it can be ranked high up in relevant search results. Analytics shows you data from all channels that are directing traffic to your website, including and not limited to Organic Search (SEO), Paid Search (PPC), Social Media, Referrals (Backlinks), Direct Traffic etc. Being able to monitor all the platforms allows you to review what is working well in terms of advertising, and what isn’t. Having all the data in one place makes it easy to compare different channels and make better informed marketing decisions to help you grow your business.